Researchers at Exeter University are leading the development of a pioneering technique that enables graphene fibres to be woven into clothing in order to create smart textiles. 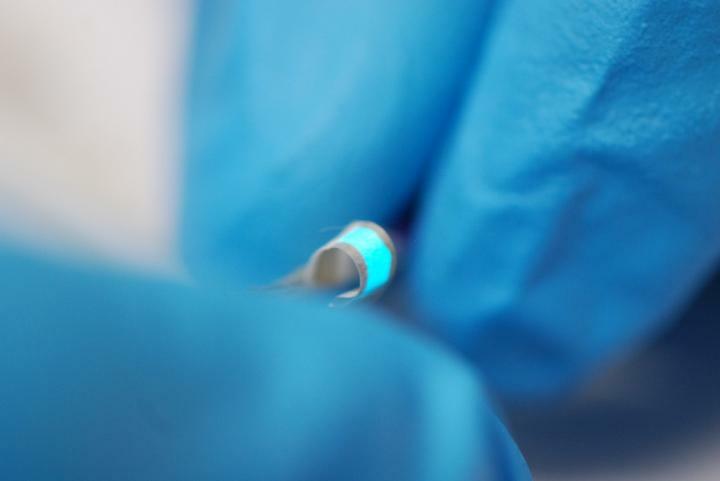 So-called wearable electronics are currently made by essentially gluing devices to fabrics, which can mean they are too rigid and susceptible to malfunctioning. But the new research – carried out in collaboration with experts from the Universities of Aveiro and Lisbon in Portugal, and CenTexBel in Belgium – integrates electronic devices into the fabric of the material opening up a host of potential applications in every day clothing and healthcare monitoring. This new research – published in the scientific journal Flexible Electronics – used existing polypropylene fibres – typically used in a host of commercial applications in the textile industry – to attach the new, graphene-based electronic fibres to create touch-sensor and light-emitting devices. The technique means that the fabrics can incorporate truly wearable displays without the need for electrodes, wires of additional materials. Be careful! Don’t short out!